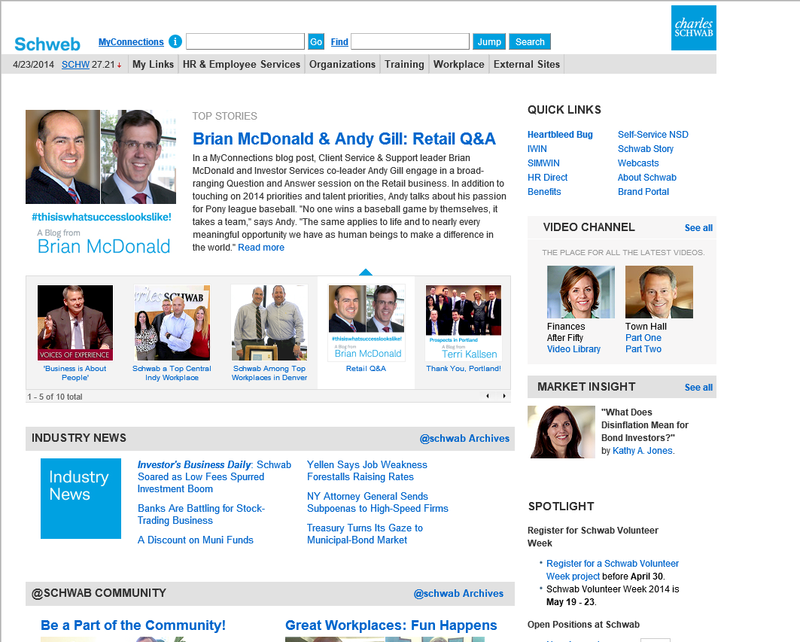 A simple, clean look for the intranet styled around the Charles Schwab brand colors. The prevalent feature on the page is rotating corporate stories that are updated daily. Additional key features are the people search, with auto-suggest, and the information search allowing users to find information they need quickly.